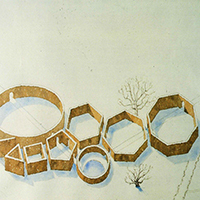 The fourth edition of the landscape scholarships of Fondazione Benetton entails activation ofan annual scholarship,concerning the thematic area Theories and policies for landscape, inspired by the personality of Rosario Assunto. Applicants will be required to submit a research project based on the topics and contents of the research project Outstanding places, carried out by the Foundation in 2007-2012, whose original materials are stored at the Foundation’s archive and partly published on www.fbsr.it, the outcome of which is summarised in the book of the same title published in 2016. Like the project Outstanding places, the research must focus on the issue of the person-place and community-place relationship in the local area (Treviso province) and should offer an up/to/date and original interpretation. The deadline for submitting the applications is set without exception to 31 August 2018. The duration of the scholarship is from 1 January 2019 to 31 December 2019.
and the care for places developed with its Scientific Committee, since 2015 establishes landscape study scholarships respectively named after Sven-Ingvar Andersson (1927-2007), Rosario Assunto (1915-1994) and Ippolito Pizzetti (1926-2007), key figures for the Foundation’s scientific work since its inception. The legacy of their tutelage continues to inspire and guide landscape studies and research. 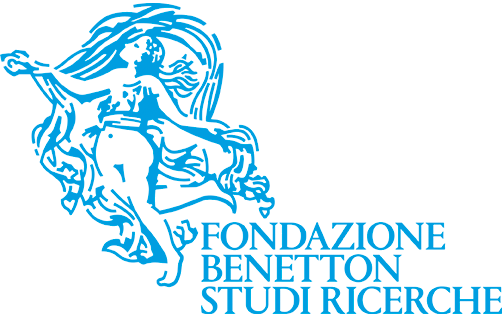 In the first edition 2015/2016, two scholarships were activated, for the areas of Theories and policies for landscape and Nature and gardens with research projects centered respectively on the cultural heritage of Rosario Assunto and Ippolito Pizzetti and able to enhance the documental and bibliographic funds present in the Foundation. In the second edition, two scholarships were again activated, relating this time to the themes of Landscape project (Sven-Ingvar Andersson) and Nature and gardens (Ippolito Pizzetti), around which the candidates were invited to present their research projects. The two scholarships activated in the third edition (2017/2018, in progress) refer to the two thematic areas of the Landscape project and Theories and policies for the landscape. For the first the research project was required to focus on the relationship between studies on historical gardens and the contemporary design culture in Europe. For the second, the required research project has to deal with the issue of higher education in the field of landscape and gardens in Europe, with a view to outlining a critical and up-to-date assessment of the current arena. Luigi Latini, chairman of the Scientific Committee; Silvia Brugnaro, secretary; Simonetta Zanon, head of landscape projects (coordination). Maria Teresa Andresen, University of Porto; Giuseppe Barbera, University of Palermo; Hervé Brunon, Centre André Chastel, Paris, cnrs;Anna Lambertini, University of Florence; Monique Mosser, art historian, École Nationale Supérieure d’Architecture, Versailles; Luigi Latini(chairman), Iuav University of Venice; Monique Mosser, École Nationale Supérieure d’Architecture, Versailles, cnrs; Joan Nogué, University of Girona; Lionello Puppi, professor emeritus of the Ca’ Foscari University of Venice; José Tito Rojo, University of Granada; Massimo Venturi Ferriolo, Politecnico of Milan.